Last edited by Viru; 07-26-2018 at 09:37 PM. MADRID — Karim Benzema and Gonzalo Higuain will remain at Real Madrid despite transfer speculation, as coach Jose Mourinho expects the young strikers to help the team build "a new era in European football." Mourinho broke a self-imposed, monthlong silence in a radio interview with Cadena Ser late Thursday to touch on a busy first season in charge of Madrid, which included silverware but was mostly dominated by the Portuguese coach's explosive personality. Mourinho stopped speaking to the media after UEFA handed him a five-match ban for his tirade following a bad-tempered semifinal against Barcelona in late April. "I am how I am," Mourinho said. "There are moments in which I feel the club is being treated unfairly so I don't worry about my image when it comes to defending Madrid. "It's been a busy year, but I've really enjoyed the football. I don't feel tired which is the most significant thing because that means things have been easy. Quote-unquote easy." Mourinho has left his mark on Madrid by ending a two-season silverware drought after the Spanish giant won its first Copa del Rey trophy in 18 years by beating Barcelona. Mourinho has often promised more success in his second season in charge — referencing successful spells with Chelsea and Inter Milan — but downplayed that promise now, although he still expects great things in the coming years. "We're a young team and this Real Madrid, within three or four years, can mark a new era of European football," he said. But with initial success has also come difficulties. Bitter rival Barcelona won a third straight league and kept Madrid from reaching the Champions League final in a bad-tempered series that may best be remembered for off-field antics. Mourinho launched an outburst against UEFA, Barcelona counterpart Pep Guardiola, the Catalan club and even its jersey sponsor UNICEF in that series. "I've been sanctioned without knowing why," Mourinho said. "You don't have the right to know why, you don't have the right to defend yourself, you don't have the right to argue your case ... and as a man I believe I have the right to defend myself. That's why this will go right up to the last resort, including (The Court for Arbitration of Sport)." Mourinho also won a power struggle with Jorge Valdano, who was fired as managing director, to usher in changes to the club's sporting structure so it better resembles a British club's. "I won't have any more power. I'll be the coach and nothing more," Mourinho said. "I had nothing personal against Valdano, I wish him the best. I'm not happy with how he left but I am happy about the club's new organizational structure." Mourinho said midfielder Pedro Leon would likely be sent on-loan. Real Madrid coach Jose Mourinho says the Santiago Bernabeu side have not made an approach for Atletico Madrid striker Sergio Aguero. The Argentina international recently declared that he is eager to exit the Vicente Calderon in the summer transfer window, and Madrid are one of the sides who have reportedly set their sights on the 23-year-old. The likes of Chelsea and Juventus have also been linked with a move for the diminutive forward, but despite speculation that the capital giants were the front runners to sign Aguero, Mourinho denied any contact. "I have not asked for [Sergio] Aguero. I will not be a hypocrite about it though; he is a fantastic player and I like him a lot," he was quoted as saying by El Larguero. "However, he is an Atletico Madrid player at the moment. Real Madrid do not approach players before agreeing terms with their club." Mourinho then went on to discuss the future of current strikers Gonzalo Higuain and Karim Benzema, and made it clear that both players will not be allowed to leave. He said: "Both Benzema and Higuain are not for sale. We have talked about this and all agreed that they should stay at Real Madrid." 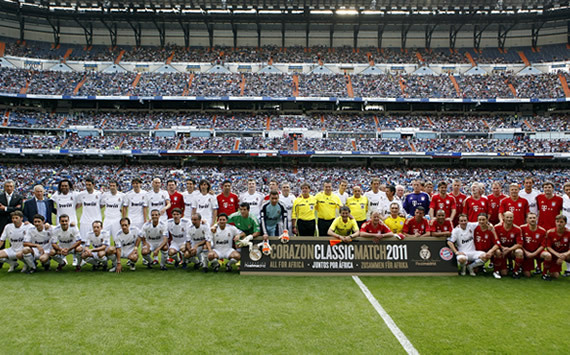 A Real Madrid team comprised of past players and legends have defeated their Bayern Munich counterparts 8-3 in a charity match. Played at the Santiago Bernabeu in front of over 70,000 spectators on Sunday evening, the Corazon Classic Match was intended to raise funds to develop schools in Africa through the Real Madrid foundation and was spectacular to watch as there were 11 goals. Former Madrid and Bayern players and footballing legends such as Luis Figo, Zinedine Zidane, Fernando Redondo, Emilio Butragueno, Willy Sagnol and Roy Makaay all featured in the game. Ruben de la Red, who was forced to quit playing professionally last year at the age of just 25 because of a heart condition, opened the scoring after just 11 minutes, and five minutes later Butragueno made it 2-0 to Madrid. Redondo made it 3-0 on 40 minutes, but Paulo Sergio reduced the deficit for Bayern just a minute before the half-time interval. After the break, Alfonso Perez made it 4-1 to Madrid only for Niko Kovac to score for the German giants. An own goal from Robert Kovac saw the Spanish powerhouse go 5-2 up and although Sergio made it 5-3 just moments later, Niko Kovac netted an own goal to help Madrid increase their lead to 6-3. 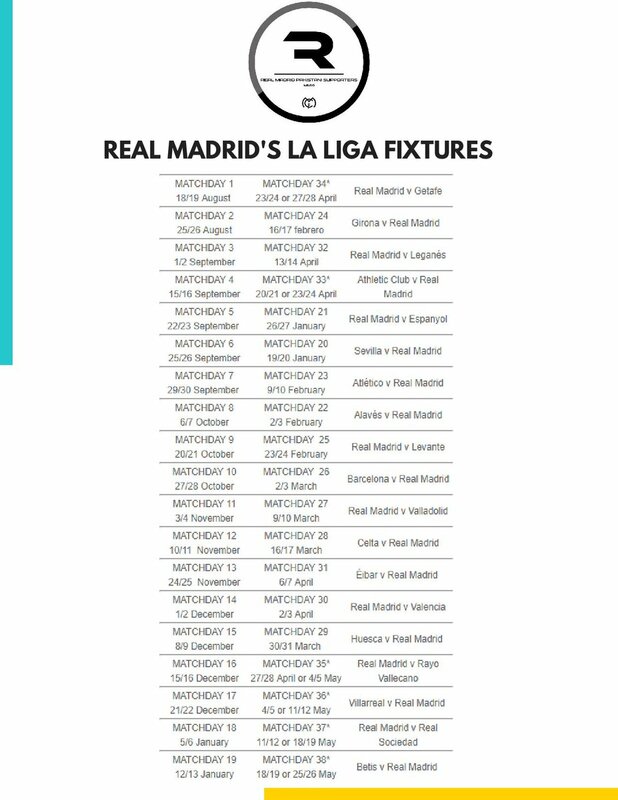 Late goals from Fernando Sanz and Davor Suker saw Madrid round up a comprehensive 8-3 victory in front of their own supporters. Change the title from the club with a history to "The Club which is History"!!! With Mourinho in charge the lost glory can be regained!!!!!!!!!! He is the SPECIAL ONE!!!!!!!!!!!! !